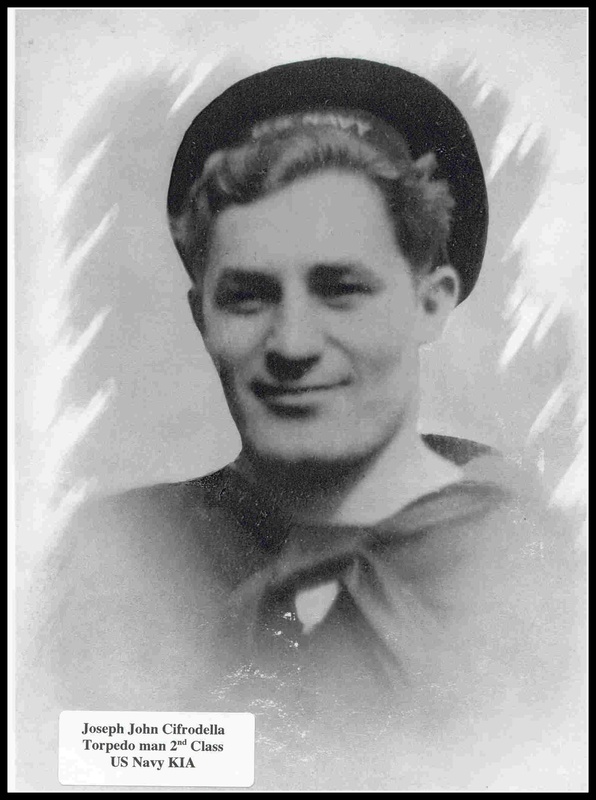 (Nov. 30, 1944) -- Torpedoman's Mate 2c Joseph J. Cifrodella, 22, of Magnolia Street was presumed killed in action November 14, when his ship, the Escolar, one of 52 submarines lost during the war, failed to return from a patrol on the Yellow Sea. The USS ESCOLAR was a BALAO class submarine carrying a crew of 6 officers and 60 enlisted men. Cifrodella first served on a heavy cruiser, then volunteered for submarine duty. Born on Feb. 5, 1922, he left school to enlist in the Navy in 1940. His service number is 2238292. In his honor, the people of Silver Lake founded the Joseph Cifrodella Amvets Post #26. His parents are Mr. & Mrs. John Cifrodella of Magnolia Street.